The Harper Conservative government is in its second iteration as the national government of Canada. It is quite likely that a federal election will happen in the coming year as Harper looks to move beyond minority status to a majority government. 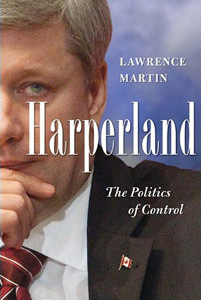 If Lawrence Martin’s recent account of Harper is accurate (his book Harperland), then we are in deep trouble if he succeeds. The Harper project is to transform Canada’s mainstream political culture, away from the post-1945 liberal consensus – that a North American welfare state is possible – to a conservative consensus that Canada is nothing more than a nation of moralistic, nationalistic, and economically self-interested individuals. Stephen Harper, born and raised in Toronto, is a political product of Alberta, the right pole of Canada’s political culture to Quebec’s left pole. He graduated from the University of Calgary, a neo-liberal bastion, with a Masters of Economics and worked briefly for the Mulroney Tories in the 1980s. But the slow pace of change, in getting rid of the National Energy Plan, and Mulroney’s accommodation of Quebec constitutional demands, led Harper to become a founding member of the Reform Party. The Reform Party was launched to engineer a fundamental shift to ideological conservatism in Canadian mainstream politics. It tried to do this by posing as a populist party - as a movement championing democracy. This was not to Harper’s taste. As Rick Salutin pointed out (in his last column for the Globe and Mail), Harper has always been much more attracted to the elitist, manipulative and secretive, politics of neo-liberals like Leo Strauss or the polarizing actions of Australia’s Liberal John Howard or Ontario’s 1990s Harris government - from which Harper’s leading cabinet ministers originate. So, despite being the Reform Party’s head of policy and an MP, Harper quit the caucus and became the head of Canada’s most right-wing think tank, the National Citizens’ Coalition, to wait for an opportunity to move the Conservative movement even further to the right. That opportunity came quickly. The Reform party, despite becoming the national opposition, stalled by 2000, and the Progressive Conservatives were in free fall. Harper re-entered national politics to take the leadership of Reform – now the Canadian Alliance – and then engineered a merger with the Tories to be chosen as the leader of a new Conservative Party in 2004. Harper lost his first election in 2004 but the new Martin Liberal government fell into minority status. Years of deficit fighting on the backs of the working majority, and scandals, like the Sponsorship scandal in pro-Canada advertising in Quebec or income trusts in 2006, wore down the majority’s confidence in Liberal administration. Harper’s first minority government in 2006 was quite precarious. They won only 124 seats when 155 are required for majority rule. If cultural transformation was his goal, he had to focus on administration, not just legislation, and to build an authoritarian leadership in minority conditions to start this process. Legislatively, the Harper agenda was geared to winning a majority in the near future. Harper cut the national sales tax, the GST, by 2% (which dramatically reduced government revenue), promoted an Accountability Act to clean up government (ironically the new Integrity Commission has received 170 whistleblower complaints and made not one conviction), and talked tough on law and order (when the national crime rate has declined by 17%). It is administratively where Harper has showed his neo-liberal colours. Harper cancelled the national daycare program, substituting a $1200 tax credit, and the Kelowna Accord. The Kelowna Accord was to inject over one billion dollars into native communities to address the terrible living conditions documented in the 1990s Royal Commission on Aboriginal Peoples. Harper also scrapped the Court Challenges Program, which has played a critical role in advancing women’s and gay rights, and Canada’s commitment to reducing carbon emissions through the Kyoto Protocol. Instead of reducing emissions by 6% of a 1990 baseline, emissions have increased by 26%. In 2008, Harper tested this strategy against an inept Stephen Dion, the new Liberal leader, who proposed a carbon tax on the brink of a recession. While the Conservatives managed to increase their seat total to 144, they also managed to sabotage their strategy to win Quebec for a majority government. In a budget cutting exercise, the Conservatives lopped five percent off Heritage Canada. This impacted the Francophone cultural community, who responded with an aggressive ant-Tory campaign that got widespread sympathy in a province where cultural survival is always a sensitive concern. This misstep has been replayed on an even greater scale with two prorogations of Parliament to prevent defeats brought on by Tory polarizing strategies. In late 2008, Harper announced that public financing of political parties would be abolished, a reform introduced in 2003 to create more equal electoral competition. Threatened about their very existence, the Liberals and NDP developed a coalition strategy, with the Bloc Quebecois in a passive supporting role, to defeat the government – and present the Governor-General with an alternative government. For a weekend, it appeared Harper’s risky strategy had destroyed the transformation project. But the coalition partners didn’t count on how Harper would use the agreement with the Bloc to rally English Canada against a potential government based on separatists (even though Harper had been willing to play such a game against the Martin minority government). Instead of holding a confidence vote, Harper called on the Governor General to prorogue Parliament, which Michaelle Jean granted – and Harper was saved from his own arrogance. A similar crisis occurred in 2009 when Harper refused to release information to a Parliamentary Committee on Afghan detainees, who had been handed over by the Canadian military to be tortured by Afghan authorities. It took a ruling by the Speaker of Parliament to force Harper to acknowledge that the Prime Minister could not ignore the elected House of Commons – and avoid an all-party vote of censure, and government defeat. Once again parliament was prorogued. This kind of domestic polarization has also been practiced internationally as Canada has become known as the most uncritical western supporter of Israel, a practice contributing to Canada’s first ever failure to be elected to the United Nations’ Security Council. Underpinning this minority government’s passive-aggressive strategy is an authoritarian control strategy to exercise the Prime Minister’s executive powers to maximize his power, and to prevent accountability to any body that might threaten the transformation project. What is striking about the Harper project is how narrow his base is, how much risk is he willing to take, and the need to camouflage that risk. When the Harper Conservatives were re-elected in 2008, they became the least popular government in Canadian history. Only 59% of eligible voters cast a ballot and only 36% voted Tory. As a percent of the total electorate, Harper’s mandate is based on only 22% of voters. In fact, though the seat total rose by twenty, 167,000 fewer people voted for them than in 2006. With such a narrow base, and such an ambitious transformational goal, Harper has to be prepared to pursue a high level of risk, with strategies to build the 30% Tory base, repress militants, and keep the majority de-mobilized. To carry out these tasks, the Harper Conservatives have tried to find new constituencies - especially among immigrants with apologies for historic wrongs like the Chinese Head Tax- and declaring genocides - such as with the Armenians in World War One or the Ukrainian famine in the 1930s. These are bargaining chips that have been called in to support new repressive laws against refugees, with the support of Jewish and immigrant groups. The apology to native people for Canada’s deliberate assimilation efforts through residential schools was a powerful moment, but one originally suggested by the NDP. Harper Conservatives have also been prepared to spend to build a base. While media critics, and many conservatives, are mystified by their deficit record, creating a deficit before the stimulus spending package of 2008-10, Harper Conservatives have to build local constituencies that will get them into majority territory – especially after bombing the bridges to Quebec voters with their bashing of Francophone’s in 2008. If this involves spending billions on prisons, to jail anyone convicted of drug dealing with new mandatory sentences (six marijuana plants or more equals ‘organized crime’), and fighter jets for a mythical Russian arctic threat, then that is the deficit price to be paid. This spending doesn’t just reflect Tory values. It is targeted to produce Tory votes. The Harper Conservatives are the most poll happy government in Canadian history. They run two polls every day. Many are psychographic. That is, the party constantly maps individual interests that can be bought through targeted programs. For example, the $1200 child tax credit was deliberately created to target families with more than two children, who were more likely to vote Conservative as a result. To control the active opposition, Harper has to control information and squash dissent, whether his opponents are political parties, the media, or anti-globalization activists as seen in the Toronto mass arrests over the G20. An early information control tactic was the MEP or the Message Event Proposal. Every Conservative planning a public statement has to submit to a pre-screening process by the Prime Minister’s Office (PMO). The PMO also minimizes any contact with the media. When the media try to research secretive actions, political staffers sabotage Access to Information requests. Containing real threats is another strategy. If the French Canadian fact threatens, as in lawsuits over abolishing the compulsory long form census, then include language issues in the compulsory short form census. Or, if organized workers could be a threat, grant them a cost of living settlement, as in the recent three-year agreement with the Public Service Alliance. Harper may also be prepared to rule by subterfuge. One of the great lessons of the Harris Ontario government is how the welfare state can be deconstructed by such stealth measures as downloading. Is it possible, in the name of fighting debt, to download employment insurance and health insurance to the provinces by cutting transfers and outsourcing services to provincial agencies and non-union contractors? Reviewing life in Harperland can be depressing. But substantive transformation has not happened – yet. The political culture has definitely become much more defensive – witness the Liberal Party’s turn to Michael Ignatieff’s conservative propensities – but there has been no fundamental defeat of the 1960s Canadian welfare model.